In this article, I would like to share my experience about Shut Out procedures and formalities of exported shipment. If government export benefits claimed on an exported shipment, can I shut out the said shipment? How does government account the export benefits which I already availed under a shut out exported goods? 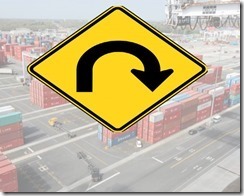 Can I return all export benefits to government against a shipment under Shut Out? As I have explained previously, government of each country supports a lot in promoting exports. Exporters earn foreign exchange which is one of the measuring rode of wealthy nation. So you – Exporters - are eligible for financial assistance from one or more export promotion agencies. All agencies that provide financial assistance are on the basis of proof of export. Once your shipment crossed the border of your country, export effected. You would have availed free import duty on raw materials of export, free import duty on machineries at your factory under EPCG, your bank would have provided packing credit loan, post shipment finance or your export bill would have discounted or negotiated, your commodity board handling your cargo would have provided subsidy or financial assistance, or you would have obtained benefit under advance authorization scheme, or duty draw back etc.etc - all benefits are related to your export of goods. 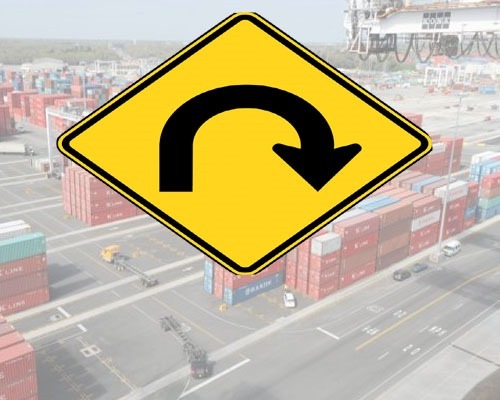 Once after the completion of customs formalities at load port, you will receive exchange control copy of shipping bill in originally duly signed by customs in order to submit to bank for bill discounting or LC negotiation. When your goods cross the border of your country, you will get Export Promotion copy of shipping bill (EP copy of shipping bill) in original duly signed by customs authorities, with central excise document (ARE) if any duly signed by the customs authorities, which are generally accepted by all agencies as proof of export, as shipping bill is the legal documents to be filed while exporting, which is mandatory. Once you have handed over cargo after customs procedures, you release Bill of Lading from carrier which is a document of title used as another proof of export, widely accepted by all export promotion councils for all financial assistance. So while shutting out the cargo or while calling back the exported cargo, you have to surrender all original documents with customs authorities. In other words, you have to keep in mind that you are surrendering all benefits you availed or you are going to avail against the said shipment. You will be filing the necessary request letter with customs authorities along with all original copies of shipping bills (exchange control copies of shipping bill and export promotion copies of shipping bills ) documents where customs officials signed, original Bill of lading and other required documents. Once after obtaining permission from customs, you can surrender original bill of lading /airway bill with the carrier and receive your goods after paying necessary freight charges if any. I hope, I could clarify some of the facts about shut out of goods exported and the procedures to surrender availed export benefits by exporter. Do you wish to add more information about Shut Out of export goods? Would you like to share your experience in Shut out procedures and formalities under an export shipment where in exporter already availed export benefits? Comment below your thoughts about Shut Out procedures and formalities against a shipment availed export benefits by exporter. Prasenjit De: On 18 January 2016 How to export short shipped materials? As all the shipment procedures are completed and export benefit already receipt. Impact on EPCG scheme after introduction of GST in India.